Lovin' Lyrics Music Promotions: KRIS KRISTOFFERSON JOINS TELEVISION SERIES, "TROUBADOUR, TX"
KRIS KRISTOFFERSON JOINS TELEVISION SERIES, "TROUBADOUR, TX"
(Nashville, Tenn. – July 24, 2013) Legendary singer, songwriter and actor Kris Kristofferson will join television series, Troubadour, TX for its third season, which begins airing in late September. Kristofferson will appear weekly as a segment host for the award-winning, 22 episode series. He will share personal stories of his life as a singer/songwriter, the influence of Texas music and artists and offer his unique perspective into the challenging journey of artists. He will also star in a one-hour music special, presented by Troubadour, TX. Troubadour, TX is a weekly television series that documents the lives of singers and songwriters, which is something Kristofferson knows a lot about. Kristofferson, who is currently touring after releasing his latest album Feeling Mortal, is considered by many as one of the most iconic Troubadour's of all time. 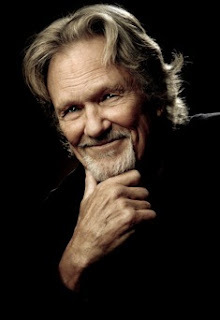 Kristofferson, originally from Brownsville, Texas, has had an extraordinary music career, having been inducted into the Country Music Hall of Fame in 2004 and winning a Grammy award early in his career. He's perhaps best known for such hits as “Me and Bobby McGee,” “For the Good Times,” “Sunday Mornin’ Comin’ Down,” “Why Me Lord” and “Help Me Make it Through the Night.” He is the sole writer for most of his songs but has collaborated throughout the years with various Nashville music greats, including best friends Willie Nelson, Johnny Cash, Waylon Jennings, Janis Joplin and many others. The one-hour music special, “Troubadour, TX presents an evening with Kris Kristofferson,” will air this fall nationwide on networks carrying the Troubadour, TX series. "Having Kris Kristofferson as a part of the series and featured in a one-hour music special is an incredible honor,” said Carl Kornmeyer, COO of LBK Entertainment and executive producer of the show. “He is a musical poet, a legend and a true Troubadour." About Troubadour, TX: Troubadour, TX is a 17-time Telly award winning docu-reality series that features numerous Country music Artists as they chase their dream and others who Live the dream of a career in music. The series shoots on location primarily in Texas and follows artists on stage and into their lives documenting the music, the passion and the journey of being a singer songwriter. For more information about the series, broadcast times and stations, visit www.TroubadourTX.com and Facebook and Twitter.